Arrival at Noi Bai International Airport, and transfer to hotel. Free program. After breakfast, your will go for Hanoi City Tour and Water Puppet Show in the evening. After breakfast, you will go for Halong Cruise and kayaking in Halong Bay, transfer back to Hanoi. Visiting Hoa Lu with ancient temples from Dinh Dynasty, then to Tam COC with paddy fields. Back to hotel. After breakfast, your will go for Halong Bay Cruise with seafod lunch and kayaking. Transfer back to hotel in Hanoi. After breakfast, you will go for Hanoi City Tour, Hoan Kiem Lake, and Ngoc Son Temple. Then to airport and depart to Saigon (personal expense). 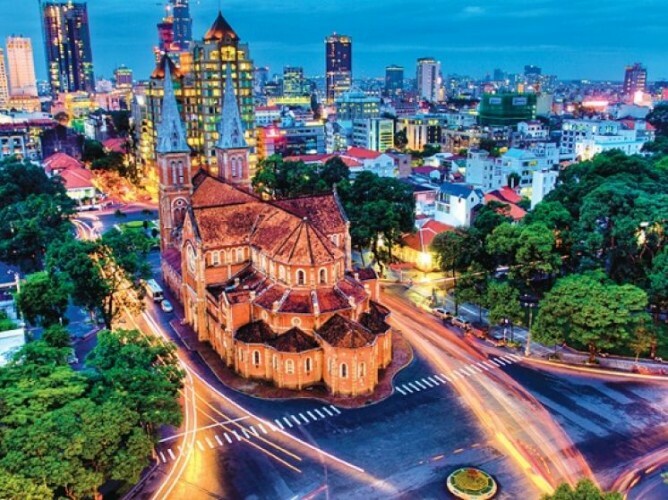 Pick up in Saigon and transfer to your hotel in Saigon. After Breakfast, Saigon City Tour, then to Cu Chi Tunnels. Back to Saigon.